Fold the piece of paper, to get the center. Put your model on top of it. 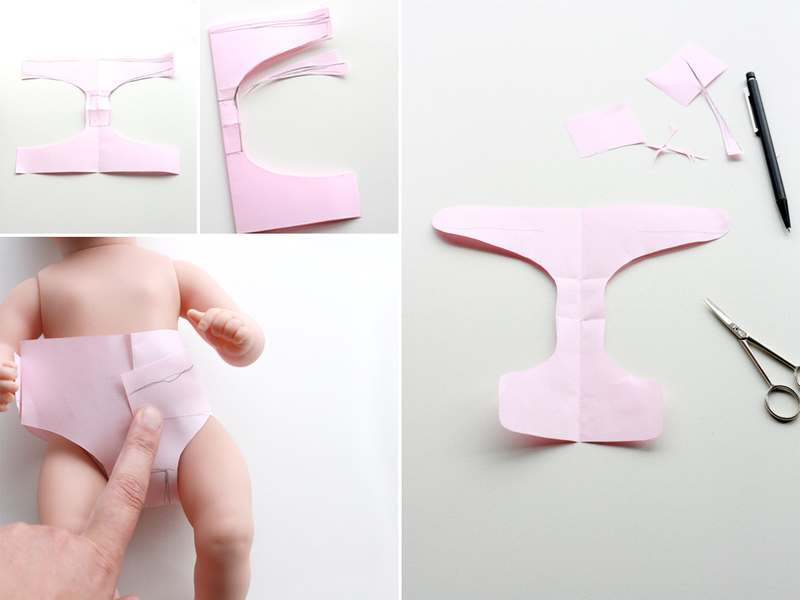 Make a rough sketch of the diaper on the left, right and bottom. 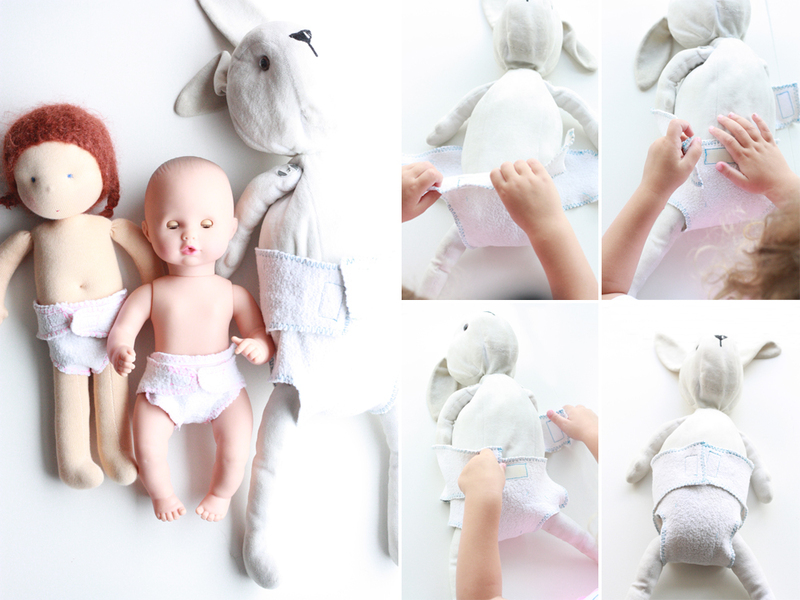 Remove the doll, fold the paper, so you get a quarter of the diaper. Cut. 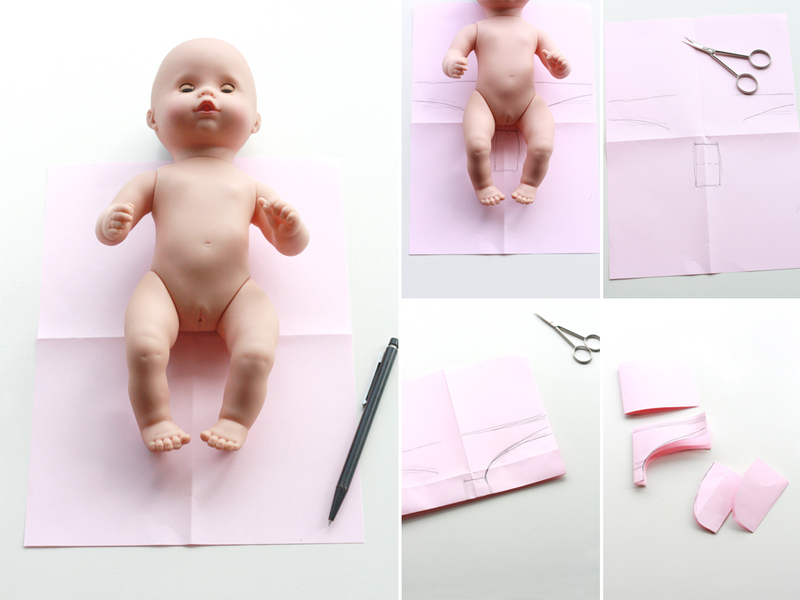 Open the pattern and fit it on the doll. Trim the front, and shape the edges. So get a good fit. If it’s not working, just take a new piece of paper and repeat until you have a good fitting pattern. 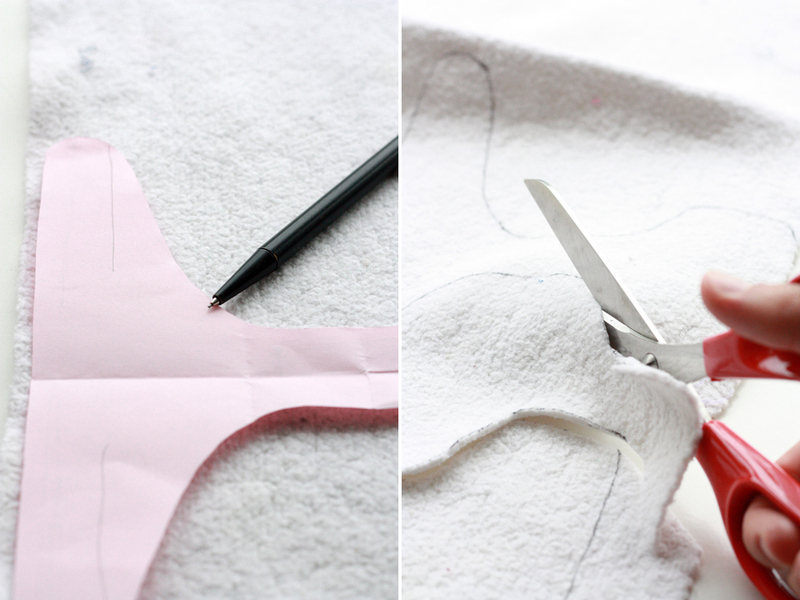 Place your pattern on top of your diaper cloth, trace and cut. Choose a stitch to finish the edges, any form of zigzag will do. If you have stretchy material, choose a stitch according to that. Pin one larger piece of velcro on the front and two smaller pieces on the inside of each side of the back flaps. Sew to secure. Your done. Happy diaper changing!